Andreas Barth, better known as hunting blogger “Dreispross”, follows up on two dreams of hunters at once in the Swedish province Lapland. With his Merkel Bergstutzen B4 with large and small bullet he went hunting for moose and capercaillie not far of the Finnish boarder. The moose was a success. The area is called Tornedalen and is a wide valley, which is traversed by the Torneälv. The approximately 6000 hectares large hunting area, not far from Finnish boarder counts as one of the core moose areas – you can assume that it can be counted on, that there is a moose present every 1000 hectares here. So, statistically seen, six on 6000 hectares – it cannot be said, that the largest stag on earth can be found around every corner and is waiting to topple over Swabian middle class cars. 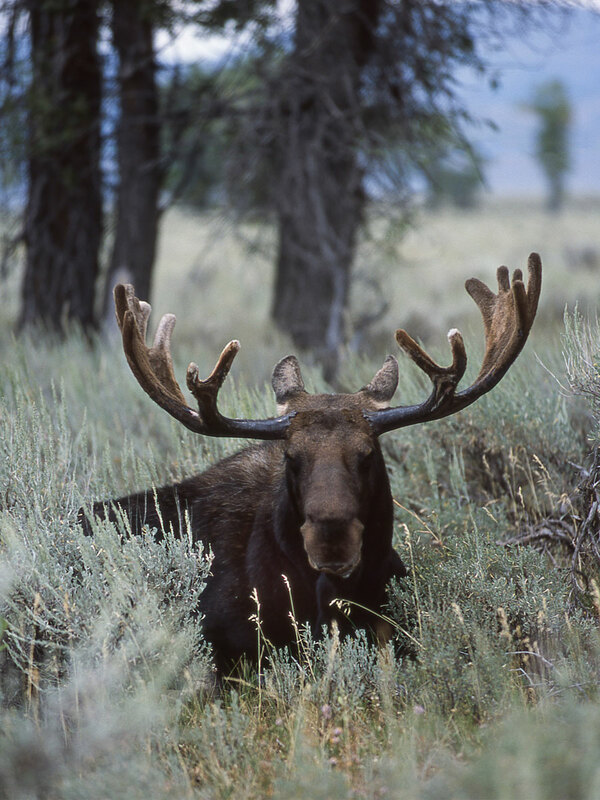 Moose are very rare – and very secretive. The announcement therefore is very insistently: moose have very good hearing and a very good sense of smell. “Birch trees that are moving are no birch trees” is a Swedish saying, meaning that a moose is, in spite of its size, often only seen when it starts moving. Without the brave and never tiring moose dogs, nothing is possible in these expanses. Thanks to barking on the trail and GPS navigation, the guides and hunters know where the dog is hunting the moose – or if it still looking for it. Potential to hear is given enough in the expanses of Swedish Lapland: here reigns heavenly silence neither street nor flight noise can be heard, neither are humans. The Bergstutzen has been carefully chosen by Dreispross. The name is a little bit misleading – the gun has not a lot in common with a normal Stutzen with a long fore-end and short barrel. The Bergstutzen is an over-and-under double rifle with two different calibres, one large and one small rifle bullet. 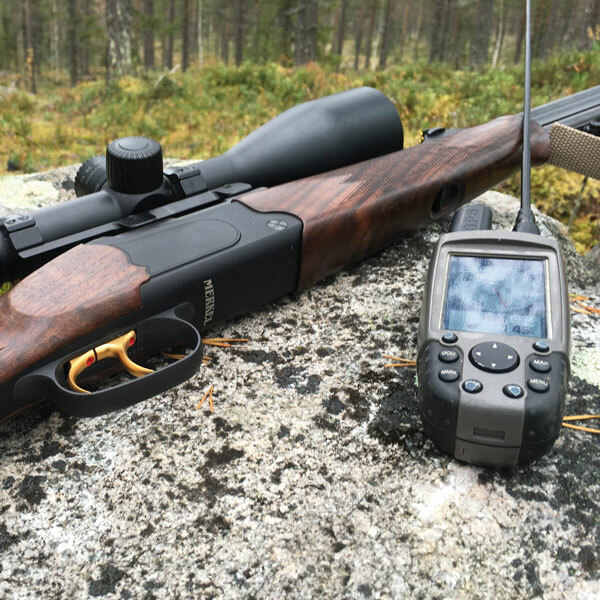 In Sweden, where the number of rifles a hunter can own is limited, it is actually an ideal because universal rifle. 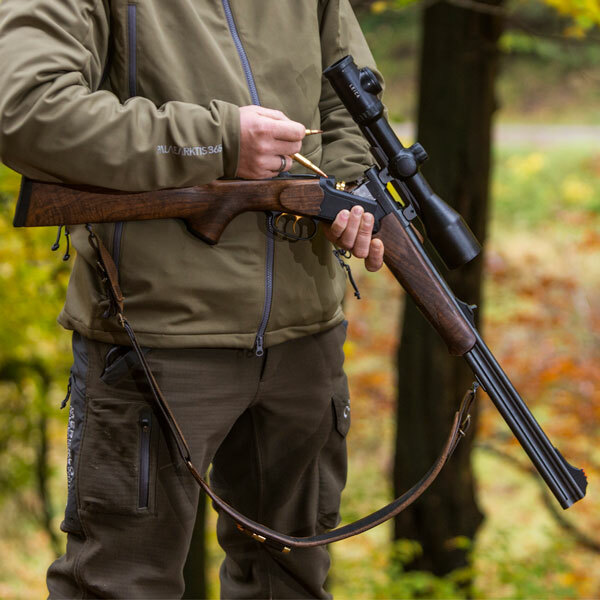 The Bergstutzen always has double triggers, in order for the shooter to be able to select which barrel he fires. The rifle has for two calibres and two triggers only one lock – this is a safety argument – after the shot, the gun has to be re-cocked with the cocking lever on the bascule. Living while hunting is very close to nature. 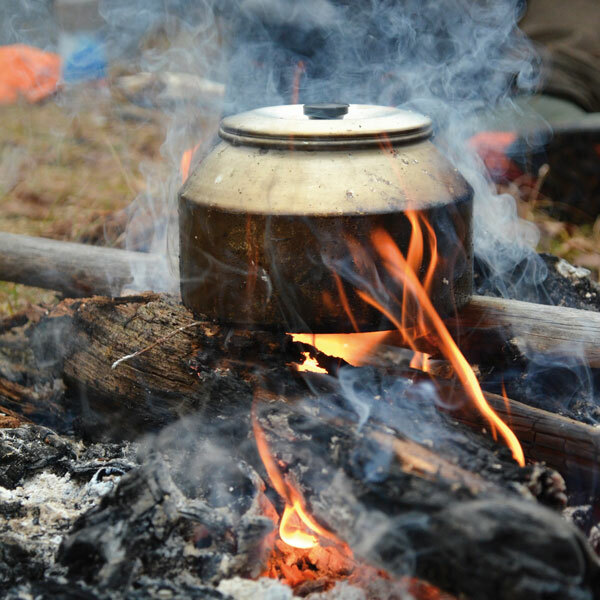 Using a flint and birch bark, the campfire is lit, the thirst is quenched with water from rivers and lakes on the way, cooking is done outside in the Muurikka, a Swedish cooking pan, which is not available at IKEA. Swerros and Knotten are annoying – the always present little blood suckers are called like this in Swedish Lapland. Still there is the indispensable Scandinavian comfort in every hut: cool beer and hot saunas. After they had not seen a moose on the fourth day, a sobering effect can be felt in between the hunters and the guides. Andreas is following his hunting guide in an especially silent stalk through the thicket. Feet by feet are set down carefully. Bill, the Norwegian moose dog is freely checking around the hunters. The guide is imitating the nasal contact call of a moose. Finally, attracted by this, a three-years-old female moose comes out of the birch trees. The shot is good, but the female runs of and Andreas gives off a follow-up shot with the small bullet. The moose is said to be very tough – but the hunt ends well: The reward of the hunt are 130kg of the best meat at about 230kg living weight. To get the animal out of the forest, the hunters are using a Pulka, a heavy tarpaulin, which they fix to the back of the quad. This way they can cover longer distances without devaluing the meat. In the game collecting centre, the animal is skinned – the two guides and their German helpers need a couple of hours for this. The aging is done without any refrigeration – it is cold enough. The moose is almost completely used up by the hunting association in northern Sweden. The hunters are enjoying the moose liver in the night. On the following day, Volker is also getting his moose: A guide hat shot a young bull and the Swedes are getting the quad and the Pulka to collect the bag. The Norwegian moose dogs accompany on the return and of course find a moose and follow its tracks. After a two hour stalk and a lot of supporting dog work, Volker bags his bull, a six ender. A very emotional moment, even for the experienced hunter: “ It is my first moose – and maybe my last. ” Relaxation in paradise. You should always quit when it cannot get better. But what about the capercaillie? This is why the B4 has the small rifle calibre after all. This has been pushed to the next adventure up in the high north. 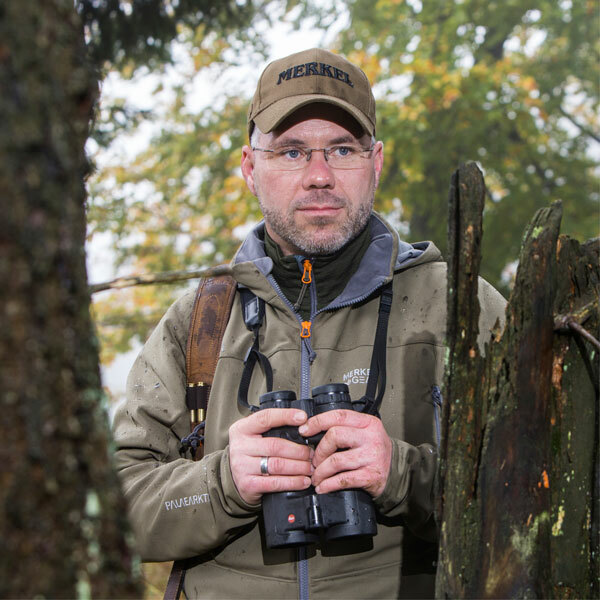 The 42-year-old lives in northern Germany and works for the police as his main occupation – next to this he operates a hunting blog. Even though he only discovered hunting less than ten years ago. Less than a ten minute drive from home, at hunting grounds in Schleswig-Holstein, is where he is hunting in his free time – preferably wild boar. Always with him: the Bergstutzen B4 by Merkel. Andreas: As a child I have spent a large part of my holidays with my grandparents in Mecklenburg. They lived in a forest village and were forestry workers themselves. Therefore, as children we lived our adventures in the adjacent forest area in the Nossentiner Schwinzer Heide; to the displeasure of the local hunter by the way. He was not able to tolerate the affinity to nature, but credited his reputation as a armed drunkard and choleric. The image of a hunter I had gotten in my childhood stayed with me for many years. Only less than ten years ago, a friend of mine proved this image wrong. A high seat on a meadow and the sight of an elderly red stag in the warm evening sun finally awakened the longing to be as close to nature and animals as only a hunter can be. This friend took me under his wing after I had received my hunting license. The passion for hunting wild boar was transferred from him to me at this time. And even now I am hunting with a permit in his two hunting areas in Schleswig-Holstein, north of Hamburg. Less than ten minutes way part me from the two areas and, when time allows it I am there and enjoy life. Andreas: Every type of hunting has its appeal to me. Stalking and calling is very interesting to me, as the own abilities are decisive to the successful hunt. 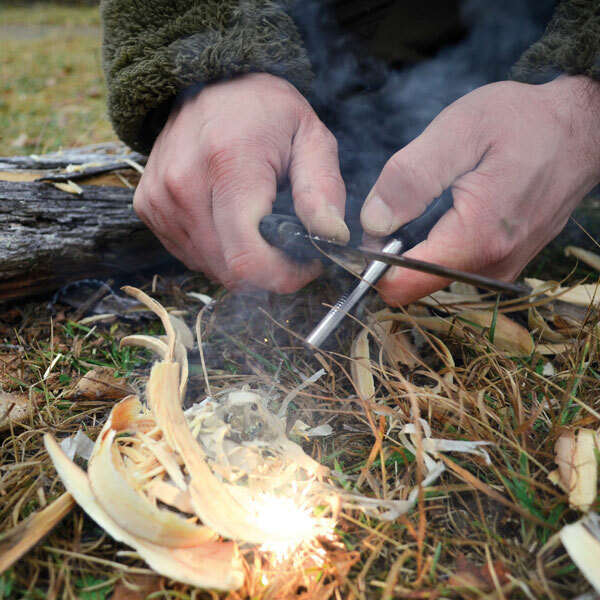 Andreas: Hunting wild boar is both motivation and satisfaction for me. If I want to hunt alone, I feel the best in the local area. At my past hunts in the regions of Germany, Hungary or Sweden, I was always able to gain new experiences and meet like-minded people. This is one of the appeals to me, enjoy hunting together. Andreas: More than one. In truth, there is more than one dream that I want to experience. For example: the calling of a Wapiti, Ibex hunting or photo-hunting in Africa. Finally, what is you hunting guiding principle? Andreas: It is a privilege to be as close to nature as us hunters.